We love you! Just before singing at contest. 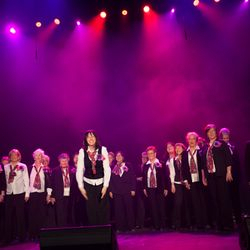 Performing at the MTLacappella Festival. 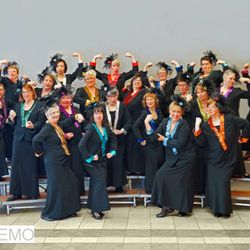 Representing women's barbershop! 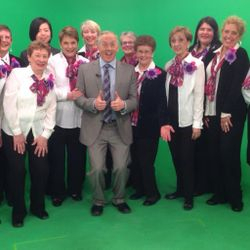 So much fun singing with our friend Richard Dagenais on Global Morning News. Hooray for a cappella singing! We held a special rehearsal to work on giving good face while doing choreo and singing our contest songs. Getting into character with our prissy persona to sing Drivin' Me Crazy. Swoon! Singing about "his gorgeous eyes"... 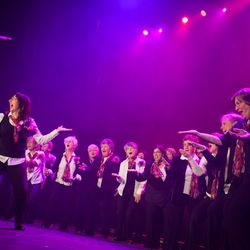 Representing women's barbershop singing at MTLacappella festival. Harmony Winterlude 2014. 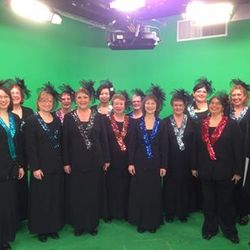 We love to sing timeless babershop holiday tunes, and new a cappella classics! Hamming it up! 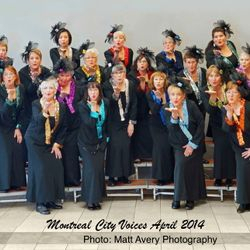 Representing women's barbershop singing at MTLacappella festival. Take a bow! 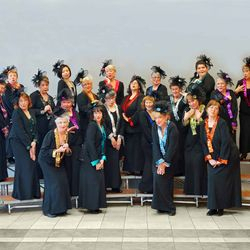 Representing women's barbershop singing at MTLacappella festival. 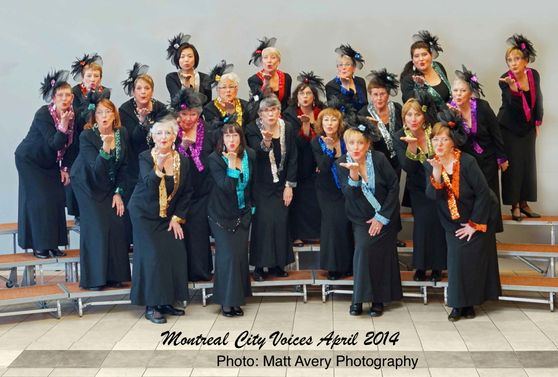 is an award-winning women's barbershop chorus with members from all over Montreal. 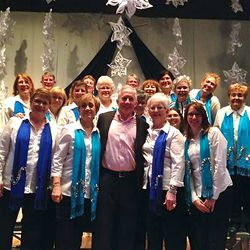 We sing 4-part a cappella harmony. 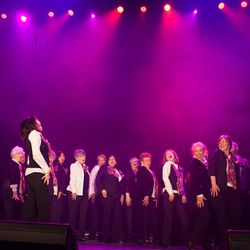 Celebrating 55 years of singing Barbershop harmony! 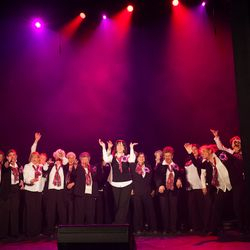 performance with our extensive repertoire -- love songs, doo-wop, funny songs, and old favourites. 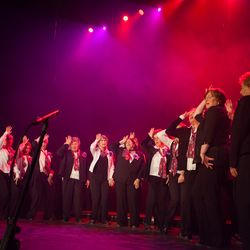 We would love to sing for you! We are a proud member of Harmony, Inc.